The latest design from acclaimed outdoor enthusiast and host of his own TV shows, Jim Shockey! 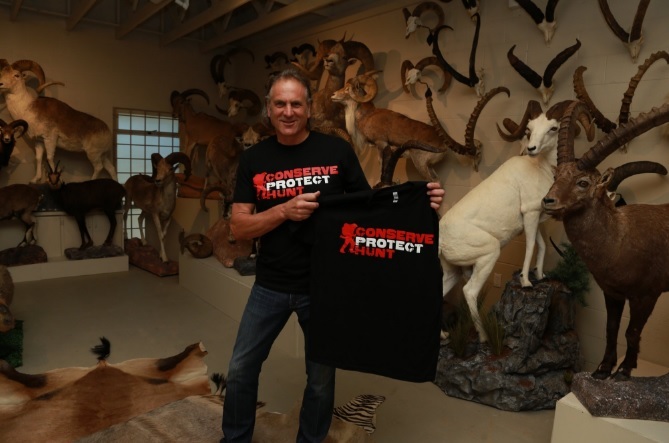 The latest design from acclaimed outdoor enthusiast and host of his own TV shows, Jim Shockey, launched "Conserve, Protect, Hunt" for all hunters who believe the right amount of protection and conservationism will help preserve traditions for future hunters. International Shipping is available for all of our hunters living outside of the US. Additional styles and sizes are available in the drop down menu.